I knew that the first year after Paul Louis’ near death experience I had some struggles. And I knew that it left some scars. 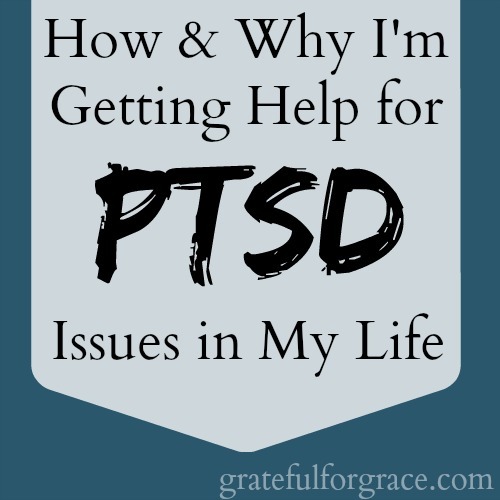 But I didn’t fully realize that I have (undiagnosed by a doctor) a form of PTSD from it and my mama’s death. The NICU brought it to my attention and two months ago I was reminded that I needed to get help with it. When you have a baby in the NICU nowadays, you are required to take an infant CPR class before being discharged. I decided to take my class the second week we were in the hospital since I thought we wouldn’t be there much longer (ha!) and walked into the classroom completely unaware of my problem. Then the instructor got out the lifelike baby mannequin and started talking. She talked about a baby being non responsive. About a baby being gray. And about a baby making little wheezing noises. And I started to fall apart. My heart was racing. I was sweating. Tears were streaming down my face. I was brought back in time to that June evening. I and was scared out of my mind. I texted Paul: I don’t think I can do this. Are you having flashbacks? The same thing happened to me. I’m praying for you. Stay in the class. You can do this. It will help you heal. No. Really, I am about to lose it. I’m praying. Deep breaths. Tell the teacher why this is happening. So, through tears, I told the instructor what was happening and why. She encouraged me to stay. I did. I used Lamaze breathing. I ignored some of the instruction (ex: I did not use my baby’s name while yelling for help or anything like that). I spoke to myself in my head and sometimes under my breath, “You are fine. Jubilee is fine. Paul Louis is fine. Nothing is actually happening right now.” I fought the images in my mind. And I left the minute the class was finished. With everything else I had to deal with and handle, I pushed the incident to the back of my mind. But, I struggled many times in Jubilee’s early days at home, fearing she was going to die from breathing issues. I was seriously grateful for the oxygen and the doctor, quite honestly, let me keep it longer because of my issues, not Jubilee’s need. But the night of Jubilee’s four month well check, I was reminded of my struggle in a major way. Jubilee had her four month vaccinations and that evening she was fussy. Then she started crying in a way that I had never heard her cry. And then she did some really weird sounds. And I was transported to my bedroom and seeing Paul Louis, June of 2008. I scooped her up and yelled for Paul. He didn’t answer. Phoebe walked in and I yelled for her to leave. I honestly feared Jubilee was dying. I yelled again and again. Of course, he calmly walked in and looked at her crying. He looked at me. I was frantic. I explained what she had done and that I didn’t know why or what was wrong. He hugged me and talked to me. I was barely able to be rational with him. He is persistent in a crisis though. We finally agreed he would go get her some medication for the fever. He said again and again that she looked fine and was breathing great. I calmed down. I talked to myself and reminded myself that it was not June of 2008 and this was not Paul Louis. That her coloring was fine and we would figure out why she was crying and how to soothe her. After the situation was over and I was calm, as I held my precious baby in my arms in my bed, the tears flowed. I realized that the depth of my panic and fear, the similarities between the situation and Paul Louis’, and my lack of getting help before now had all culminated in a scary situation for me. It was time to go see a biblical counselor about this. Yes, I’m a certified biblical counselor, but I knew it would help to talk it out with someone and she would lovingly call me to excellence, steadfastness, and healing in Christ. I don’t want to experience what I did in the CPR class or in my bedroom again. And only healing help will get me there. After thinking about it a bit, I realized that my mom’s death by aspiration five months before Paul Louis’ incident and the fact that I was “supposed” to be there with her that night was adding to my struggle. I felt responsible. Like I had failed her. And I was scared to death of failing in my responsibility again. And my daughter dying for it. So, now I knew the why of needing help. It was time to learn the how. Come back tomorrow for that part. Does any of this resonate with you or someone you love? NOTE: I am not a doctor. If you are suffering from suicidal or murderous thoughts, get help right this minute. Call a trusted friend or mentor. Call a counselor. You can find a biblical counselor through ACBC’s database. Do not delay in calling someone. Do it now.